The choice is huge. You can choose between a short paddle tour as well as a discovery tour of several hours around the entire Wannsee. We have found the most beautiful boat rentals for you and present you five lakes on which you can perfectly paddle and row. In the middle of the Tiergarten there is probably the most romantic place for boating - the landing stage is the café-restaurant at the New Lake. Under tall trees and many chains of lights, a harmonious atmosphere is created. Ten boats are available for leisurely cruising around the small lake. The fun is with 10 € per hour not cheap but nevertheless something else, in the middle of the city. Here you can see among other things grey herons and turtles and if you take a closer look into the water you will surely find one or the other Canadian crayfish. Before or after the boat trip you can then go to the well-attended beer garden at the cafe. Enjoy a relaxing pedal boat ride on the lake Tegeler See, the second largest lake in the capital with 4.6 square kilometers and one of Berlin's most impressive natural landscapes. Boats and pedal boats can be hired here. The boat may not be fast, but the speed is ideal to enjoy all the beautiful impressions. In addition to sporting activities, there is also a lot to discover and experience. For example, you can also watch the sailboats and surfers from a pedal boat or rowing boat. At the boat rental Mühl you can choose between 30 colourful rowing and pedal boats, motor and barbecue boats or an oversized swan. There is also an 18-hole minigolf course adjoining to it. At the harbour of Lake Pichelssee there are no less than twelve rafts of different sizes and several small motor boats for hire. The interesting thing is that you don't need a boat license and you can have a party with up to 30 people on the water (including a gas grill on the raft!). The small harbour restaurant offers with its flair a good ambience. If you have forgotten something for your day on the water, all food and drinks can be made ready for take away. For the spontaneous excursions they also offer supply baskets. 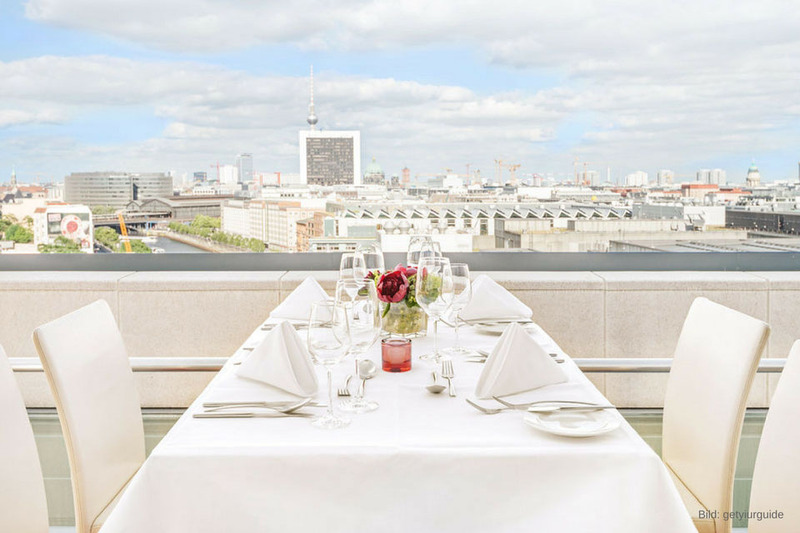 If you are also interested in barbecuing on land, check out our blog "The 4 best barbecue sites in Berlin". Rent a rowing boat from the Fischerpinte boathouse and discover one of Berlin's most beautiful waters, the Plötzensee. The brown painted boathouse has been run by the Dürings for 21 years and offers a very familiar and relaxed atmosphere. The boat rental with a small cafe is located directly at the driveway in front of the city motorway access to the lido. Although situated on the main road, it is very quiet here due to its deep location directly on the water. On the jetty with the tables you can sit, eat and drink until 10 pm. There is a choice of rowboats and pedal boats. For paddlers who keep their eyes open, there are many turtles to discover in the shore area. With four exciting canoe tours you can explore the beautiful Wannsee on your own. This is unique in Europe, having so much nature right next to a big city. The tours take between 3 and 6 hours and take you around the Wannsee and its rivers and forests. How about a round around the entire Wannsee, or rather the Pfaueninsel? Numerous bays invite you to relax and promise great bathing fun during your canoe or kayak tour. You can choose between single, double or triple canoes. Do you need any other tips for the summer? 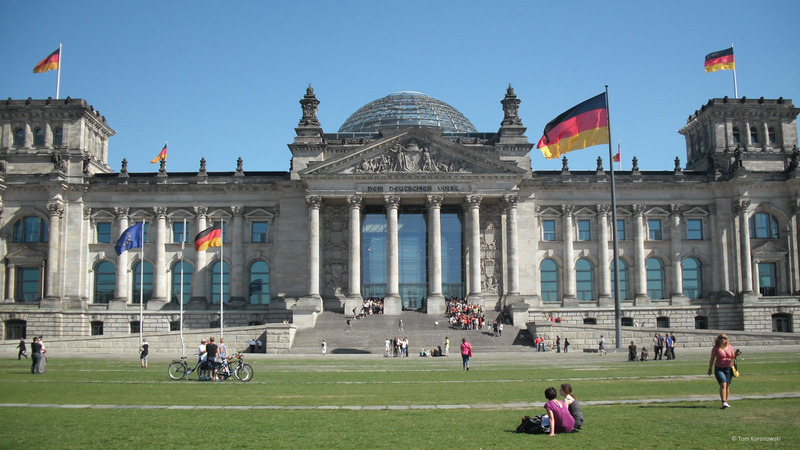 Then visit our blog 6 Interesting Tips for enjoying the summer in Berlin. 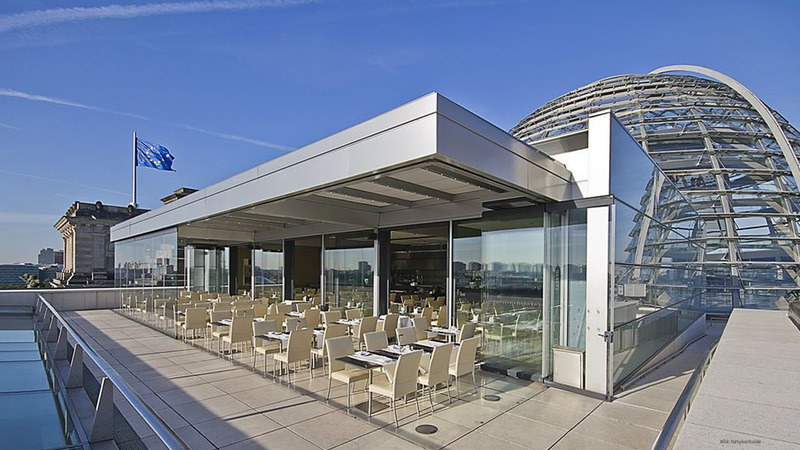 Enjoy the roof garden Käfer restaurant in the Reichstag coffee + cake. 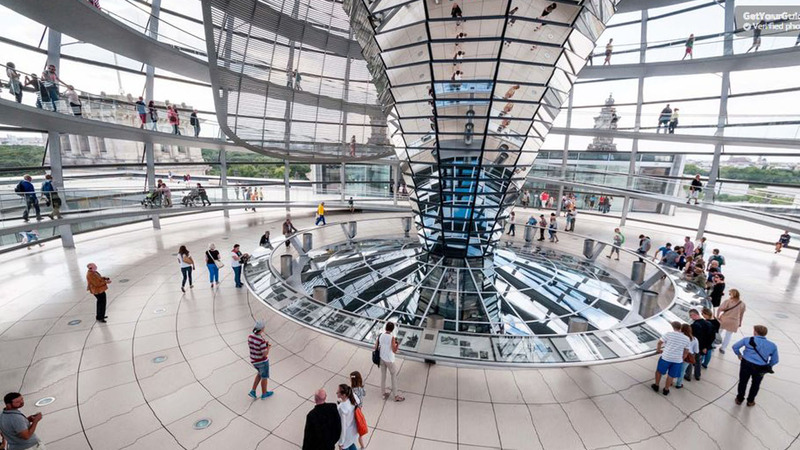 Visit the Reichstag and enjoy a beautiful view of Berlin from the famed glass dome. Enjoy the Dachgarten Käfer restaurant in the Reichstag coffee + cake.